It seems if Jose Aldo has his way, 2019 will be the final year of the former UFC and WEC featherweight champion’s MMA career. Aldo returns to the Octagon at UFC Fortaleza in his home country of Brazil on Feb. 2, competing in the co-main event against Renato Moicano. During a UFC media day held in Rio de Janeiro, the former champion said the bout is step one in his master plan to fight three times this year before ultimately calling it a career. 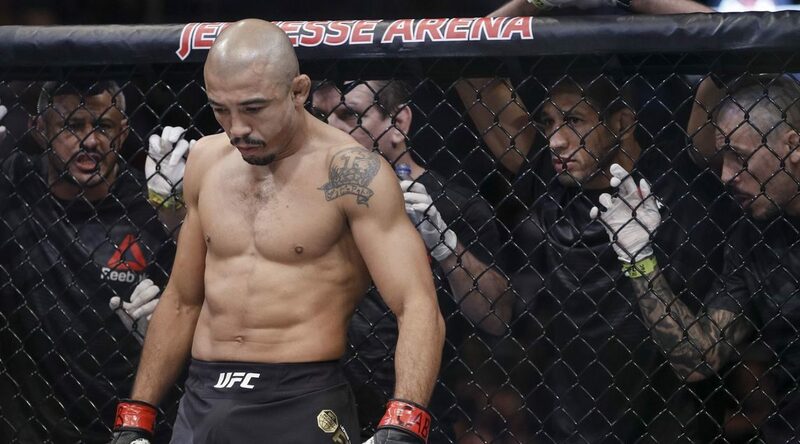 According to Aldo’s manager, Andre Pederneiras, there is nothing set for Aldo competing at UFC 237, jokingly stating the fight could take place at any weight class. But Pederneiras said Aldo and his team have asked the UFC for this to give Aldo the chance to compete and end his career in front of a native crowd. Aldo added that given his two losses to current featherweight champion Max Holloway, he doesn’t believe the UFC would grant him one last title shot and he is not pushing for one. The Brazilian fighter also claims he won’t be jumping ship to another promotion in 2020 and his retirement is not up for debate. “I want to finish well and be healthy as well,” Aldo said. “One thing I said in my last fight is that I want to [retire] tomorrow and not use my money to buy my health back. Today I give away my health to make my money, so I won’t do that.